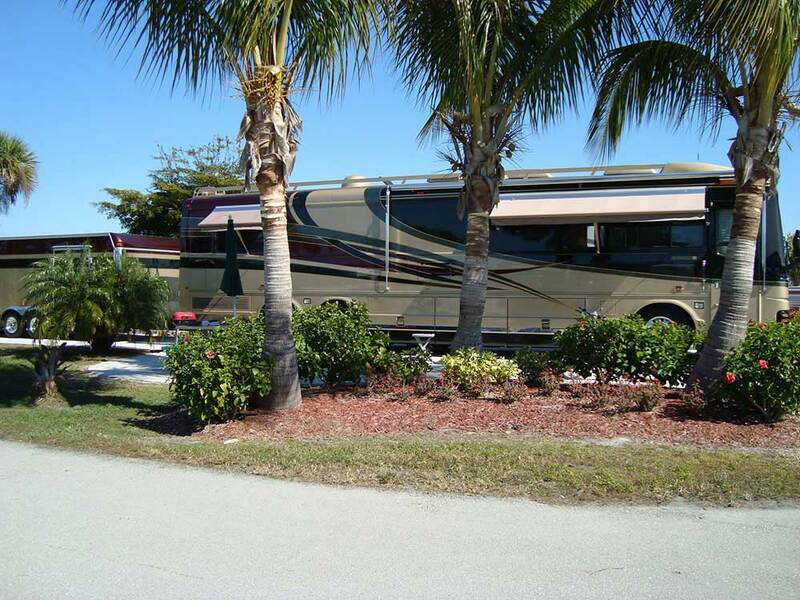 Big landscaped RV sites, large pool/hot tub, clubhouse, pool bar, tennis, pickle ball, bocce ball. Trolley service to Fort Myers Beach next door. In the heart of everything fun. 'FREE NIGHTS' offer go to gulfwatersrv.com. We only came for a week. I guess that is a mistake at Gulf Waters. From the outset, we were treated as second rate. The snow birds are given all kinds of leeway. Not so with Floridians. There are structures built throughout the camp with no enforcement. We had a small fence for our dogs. We were sitting out enjoying an afternoon when someone who failed to identify himself, snuck up on us to tell us we were in violation. As a vet who has PTSD, that ruined my whole day. Beyond that, the internet is unusable, the bathrooms are hit or miss in terms of cleanliness, and when I asked about a veteran discount, they told me they were only seasonal patriots. WalMart is much more user friendly. We will never return to Gulf Waters, and I cannot believe they maintain a 10-10-10 record. If you go to Gulf Waters, plan on staying the season or prepare to be considered second class. Nice resort well maintained with nice large sites. Forget about staying at this park if WiFi is important to you. You will spend a lot of time watching the circle spin. My husband and I stayed at Gulf Waters for 3 months, June-August 2015 (leaving 9/5/15). This is the most beautiful RV park/resort we've ever seen: incredible landscaping, large RV sites, stunning pool, fishing ponds, lending library, free good wi-fi and cable, large laundry facility and bathrooms/showers; also a large campus with paved streets to get in great bicycle rides for exercise. The clubhouse was closed for the summer and few residents, so it was very quiet and lovely, but we hear the winter season is also great with lots of activities and nice people. Wonderful access to Ft. Myers Beach (an hourly trolley) and Bunche Beach--Sanibel and Captiva Islands close. Walking distance to grocery store and Walgreens, plus a Super Walmart will open Nov. 2015 next door to the Resort. Incredible sunsets and all around just a fantastic place to stay. Pay for 5 nights and get 2 nights FREE! (OR) Pay for 2 nights and 1 night FREE! Fantastic value. Includes the Summer Holidays. Swim in our pool or the Gulf of Mexico. This is for a limited time & no other discounts can apply.